Another season is here, and the brand-new league rivalry that has appeared has only heat up after January’s NFL-AFL Championship Game. The “Super Bowl” name many have given it should only be a placeholder title. Lamar Hunt and Pete Rozelle couldn’t possibly be dense enough to let that name stick; it sounds sophomoric, unsatisfactory for collegiate games. Even the Astro-Bluebonnet Bowl, with its ghastly alliance with the Astrodome—this can’t possibly be a future of collegiate athletics, advertisements in the names of the sacred bowl games. But I digress. After the hard-fought battle between the Packers and Cowboys at the Cotton Bowl, it was inevitable that the Championship Game between the Packers and Kansas City Chiefs would show the class of the NFL champions, and after a fairly close first half, that class ultimately showed as Vince Lombardi’s men were victorious, 35-10. One may ask why we at [Door Flies Open] even need preview a second-class league, but we are resolute in our mission, and yours truly drew the short straw, thus I am beholden to remind and inform you of the nine squads that make up the American Football League, so in a few years we don’t collectively ask how all these teams suddenly came to the NFL. Teams will be introduced in alphabetical order by division, starting with the Eastern. Boston Patriots: The Patriots have the strength of AFL rushing leader and Most Valuable Player Jim Nance, who averaged over 100 yards a game, and the “grand opera” of QB Babe Parilli and WR Gino Cappelletti, finishing 8-4-2, good for second in the division behind Buffalo. That may be the squad’s ceiling for this coming season, however, as they may not again reach the lofty heights of of 1963, where they made the AFL Championship Game before being routed by the San Diego Chargers. Buffalo Bills: The Bills won the Eastern Division last year at 9-3-1 thanks to the two-back approach of Bobby Burnett and Wray Carlton and a defense that gave up the fewest points in the AFL, but lost to the Kansas City Chiefs for the championship, ending a two-year reign. They added 4-time All-AFL RB Keith Lincoln to the roster via trade with San Diego, making a potentially fearsome three-headed attack to try and reclaim the AFL crown. Houston Oilers: Houston supposedly went 3-11, tied with Miami for the worst record in the division and in the league, giving up the most points last year with 396 in the 14-game campaign. Some say that this is because the city of Houston and its players only exist in a temporal field, but I could swear I’ve seen the city before. Even without the assistance of acid. So maybe there is a team. Miami Dolphins: Miami struggled, going 3-11 along with Houston, without the excuse of questionable existence, but with the excuse of it being their inaugural season. They drafted QB Bob Griese from Purdue, who looks like he may be the primary ball-thrower, as opposed to having four players attempt 50 or more passes last year. This should help the offense, as well as determining a primary running back, whoever that may be. New York Jets: The Jets were perfectly average last season, at 6-6 with 2 ties. Looking over the scores, they scored 10 points more than they gave up over the course of the 14-game season (322 points scored, 312 points allowed). The Jets, true to their name, are the team most suited to an aerial attack, as QB Joe Namath led the AFL in passing yards last year (3,379, over 500 yards than the next-most, John Hadi of San Diego, even more than Sonny Jurgenson had for the illustriously-named Redskins). They may need more from their running backs though to balance this, as the inefficiencies of throwing the ball may be a great spectacle but can cost a team with its interceptions. Until that’s sorted out the Jets will remain a middling team in a middling league, with only the occasional shining moment. Denver Broncos: There must be some irony that a team named the Broncos had such an anemic offense last year, not even scoring 200 points, costing Mac Speedie his job after two games. Lou Saban, fresh from his brief time with the University of Maryland, returns to the AFL after his years with Buffalo. Fortunately they’ve gotten some new quarterbacks, led by Steve Tensi (traded from San Diego for Denver’s next two first round picks, certainly a steep price), and drafted Floyd Little who should be their primary runner. The defense was run roughshod last year as well, giving up fewer points than only Houston, and nearly being outscored by a 2 to 1 ratio shows just how much needs to be repaired in Denver. Kansas City Chiefs: The defending league champions were far and away superior to the rest of the league, for what that is worth. Although they fell to the Packers, there is admittedly no shame in being beaten by the best. The Chiefs finished 11-2-1, led by the arm of Len Dawson who threw for a league-high 26 touchdowns while throwing only 10 interceptions. It was no surprise then that the Chiefs led the AFL in points scored. The defense was more than acceptable as well, giving up more points than only the other division champion, the Bills, who they defeated 31-7. Though Dawson may not be in the Starr/Jurgenson/Unitas class he has grown from his days as a backup for the Steelers and Browns, a sort of late bloomer, even if it is the man with one eye in the land of the blind. Oakland Raiders: Tom Flores is gone, gone to the Bills, traded for Daryle Lamonica. Apart from that, the team seems much like the team that finished runner-up to Kansas City last year, so we will see how effective Lamonica can be when he isn’t coming in as the fireman to Jack Kemp. It will be up to Clem Daniels and Hewrett Dixon to make sure the offense keeps moving in any case. Daniels was second behind Boston’s Jim Nance for the most yards on the ground by one player. San Diego Chargers: Keith Lincoln left San Diego because he wanted to play for a winner, which is how he came to Buffalo. It will be up to Paul Lowe and Gene Foster to pick up more of the slack, along with rookie Dickie Post and red shirt Brad Hubbert. The trade for Steve Tensi will hopefully provide dividends down the line for San Diego in their returns from Denver, so Lincoln may eat his words sooner rather than later. Prediction: Kansas City, Oakland, San Diego, Denver. Kansas City wins the AFL title over Buffalo. Of course, none of this matters. Between the Cowboys, Colts, and defending champion Packers, the NFL playoffs will be the true test of the champion as they were last year, and the World Championship will be merely a formality. It will be especially true this year as thanks to the addition of the New Orleans Saints there will be four divisions, with four division champions and two rounds of playoffs. It may admittedly give the AFL champion a slightly better chance, as they will have an extra week of rest while the NFL Championship battle rages, but even with the first-ever joint league draft ending the bidding wars between them, the NFL still has the advantages in superstars and coaches, and remains overall superior. And so the deal that Lamar Hunt and company managed in getting the NFL to agree to create a league larger in size than even the seemingly impenetrable Major League Baseball could be called nothing else than a coup, and hopefully it does not balloon into a league that has a glut of teams—teams in all corners of the country will grow the sport to potentially rival our pastime, surely a dream of both Hunt and Rozelle, but what if expansion wants to reach places in the furthest corners, like the young states of Alaska or Hawaii, or Portland (Oregon or Maine), or Jacksonville? What if in fifty years there is a thought of trying to bring a team even beyond our borders, to Mexico or across the Atlantic? And what year will the best AFL team defeat the best NFL team in the championship and Hunt has his glory? Once the combined collegiate drafts that started this year have occurred for several years the leagues may be close to equal, even if the more venerable franchises have the advantage of fanbase and of their winning traditions. But in giving the AFL a seat at the table rather than absorb the more successful squads like when the old AAFC disbanded and the league took the Browns, 49ers, and old Baltimore Colts (not to be confused with these Baltimore Colts, who can’t possibly fold), the NFL has set itself up to gain greatly but the larger pie will be split more in two. For those who wondered how the merger of the National and American Leagues set up in the 19-aughts, we may be seeing it repeat itself in the upcoming years. Prediction: The AFL teams’ first triumph in the championship (for there is a good chance of a strong home AFL team defeating its relatively weak NFL opponent) will be the 1975 World Championship (played the following January), or, if the “Super Bowl” name manages to somehow stick, the tenth iteration of it. Call it a feeling of our nation’s bicentennial where a plucky upstart finally takes on and defeats the great power. I’m not sure if I like this or not. Thank God. They can’t let the players become deluded into thinking they are worth too much. This is why we need a salary cap, to prevent out of control spending on players, which will reap dividends as it will keep the costs fans have to pay as low as possible. Boston’s Jim Nance for the most yards on the ground by one player. The Patriots are nothing but a bunch of me-first glory boys. They sound like a couple of GLOORRREEEEEE BOOYYYYYSSSS who rely on nothing but brute force and pure athleticism. 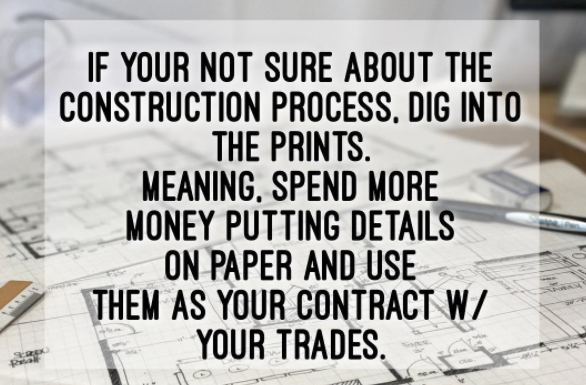 There’s nothing clever or smart about their work, and they certaintly don’t play the game The Right Way. I shudder to think how the NFL could never sink as low as it did when it decided that these me-first thugs were preferable to the Christian work ethic of men like Unitas and Starr. 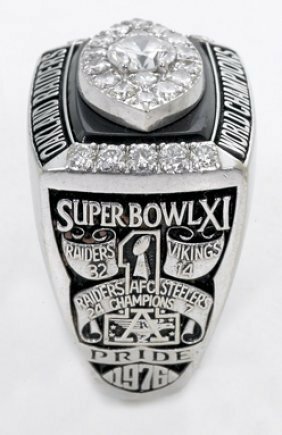 Something interesting I remember reading from Madden’s book – when the Raiders designed their ring for the Superbowl XI win, they used the older, thinner A to represent their AFL roots. Actually, now that I look more closely, I can see they put the entire AFL logo on it. San Diego Chargers — goodness that name seems old now. In celebration of circle jerk weekend coming up, I want to share a brief CJ-related story. As part of getting our website up earlier this year, I’ve also set us up with company social media account (shudders) where I follow the ‘right’ people (customers, vendors, builders, trade BS, etc) and, twice a week, tap my inner 23 year old blonde intern and post some #content. It’s a side of blax I hope you all never see. Anyways, some bro posted the below on his feed and there is like 20 comments of dudes just like him all rubbing out to their related stories and I want so badly to correct the grammar but it’s a corporate account and so I won’t but damn it this bothers me. WOULD YOU MAKE UP YOUR GODDAMN MIND!?!? Wait, you put down the bottle of hand lotion for that one? Well, yeah, but only so he could pick up a BIGGER bottle of lotion.